A very interesting of the FDM-DUO-R receiver innovation are 10 slots for pre-selector boards, which can be populated by the user as needed. 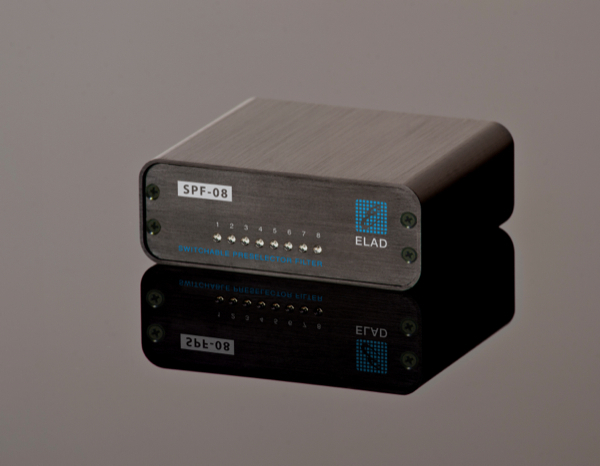 Elad offers various high-pass and band-pass filters, for example to suppress nearby medium wave raadio stations. Band-pass filters are available for the amateur radio bands and help to achieve excellent large signal handling capabilities, suitable even for contest stations. And users demanding even more flexibility can use two empty boards to design their own filters perfectly matched to their needs. 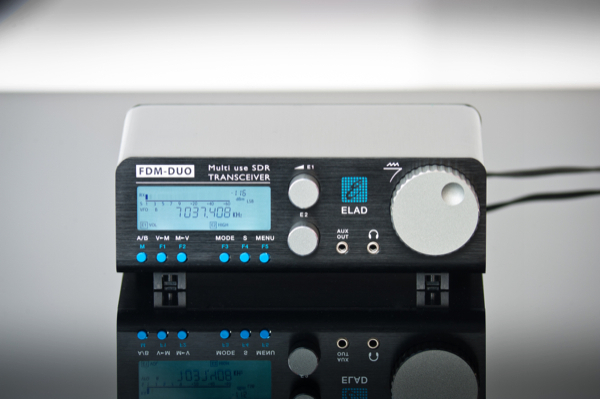 By using a clever combination of the two antenna inputs, attenuators, the standard 54MHz low pass filter and the switchable ten pre-selector positions the receiver design offers a lot of possibilities for individual tuning. 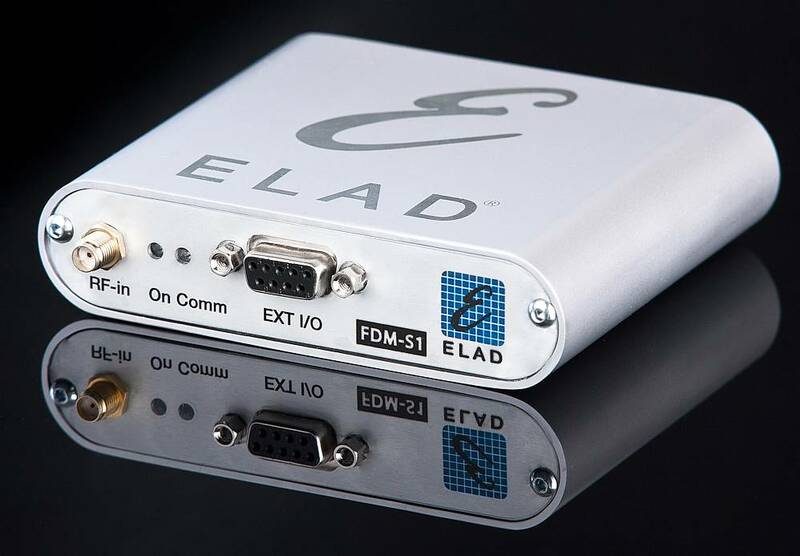 Elad (Italy) does offer various SDRs for several years. 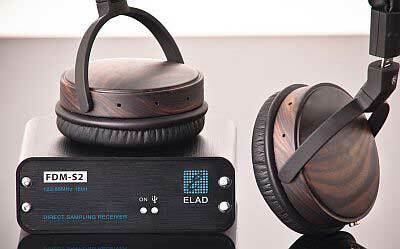 Based on this experience the FDM-S1 was designed as a very compact receiver with many outstanding features. The low power consumption of just 2.2W makes the FDM-S1 an ideal travel companion for your notebook computer. Optionally partially populated boards are available, offering place for many own experiments and improvements. Included in shipment of the FDM-S1 is a USB cable, an adaptor SMA/BNC plus a CD-ROM with the english language manuals (PDF). Size 108 x 27 x 88mm, weight 180g. The SPF-08 Pre-Selector box offers slots for eight filters. 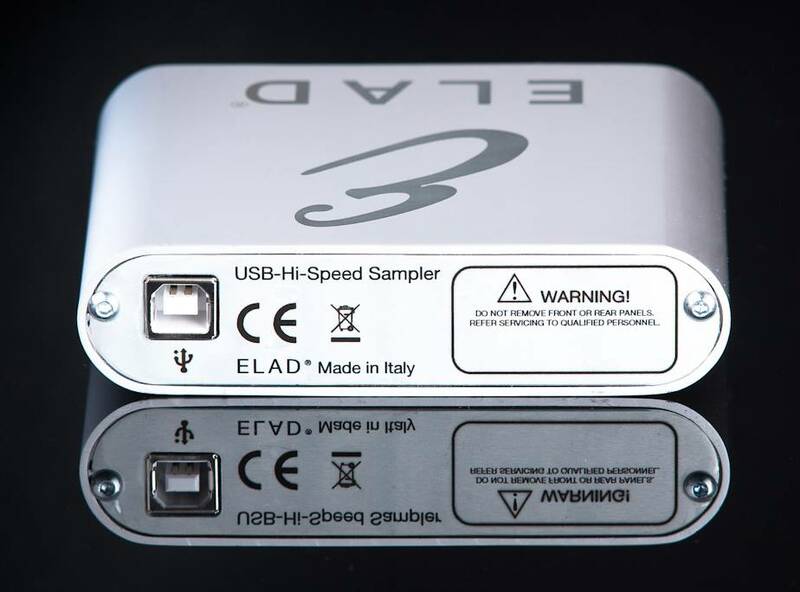 Control is done over the 9-pin SubD socket, which is the same as used on other Elad devices (FDM-S1, FDM-S2, FDM-DUO-R). This interfaces (which is not an RS-232 interface) is provided with the frequency information which in turn can be used to select one of the eight filters. 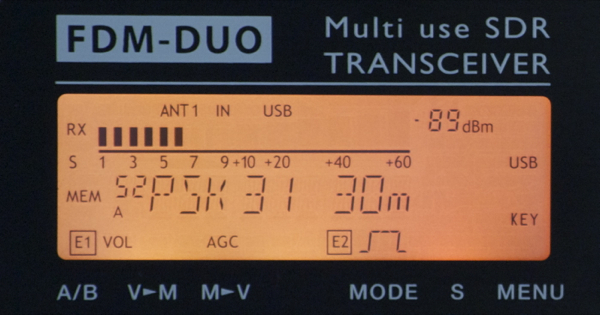 The software of the receiver provides means to adjust band edges for each filter, where switchijg should occur. After an initial setup all filter selection is fully automatic. 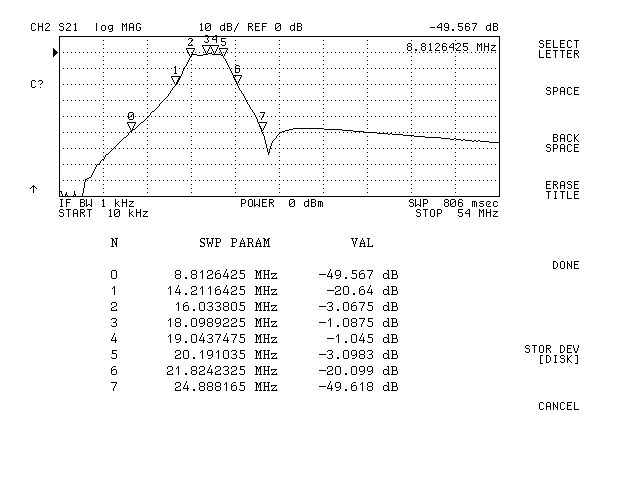 FLP-500K: Low pass 500 kHz, attenuates everything below 500 kHz. 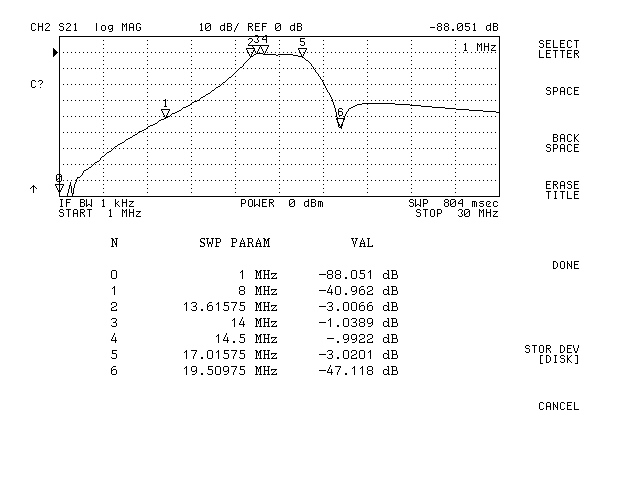 This is the filter for the (V)LF fan and NDB chaser, but also for the radio amateur active on 137 or 472 kHz.